Brookfield Asset Management Inc., Canada’s largest alternative asset manager, said political and economic turmoil in emerging markets like Brazil and China are a blip, and investors should be looking for opportunities amid the upheaval. “We have seen this movie before, and as a result believe these are only growing pains in otherwise solid markets,” Bruce Flatt, Brookfield chief executive officer said in a letter to shareholders Friday after the company reported third quarter results that fell short of analysts estimates. Assets under management rose 3.2 percent to $225 billion. The company reported net income of $845 million, or 26 cents a share, for the third quarter, versus $1.1 billion, or 73 cents a share, a year ago. That was short of the 30 cents per share expected by analysts surveyed by Bloomberg. Revenue for the quarter grew 8.5 percent during the quarter to $5.1 billion. Funds from operations were $501 million for the quarter, or 48 cents a share, down from $564 million, or 55 cents a share. Analysts had expected 46 cents a share, according to estimates. Fee-bearing capital for the quarter increased by $10.4 billion year-over-year, the company said. The company said it is actively marketing five funds with a target of raising $23 billion over the next 12 to 24 months. Toronto-based Brookfield is particularly well-positioned to take advantage of upheaval the markets, particularly in Brazil where it has operated for several decades, he said. The company is taking advantage of high valuations in the North American market to be a seller, in particular in real estate, Flatt said . "From a deep-value perspective, we’ve been investing in India, Brazil and around oil and other commodities," he said on a conference call. Brookfield is in talks to acquire a stake in Brazilian airport and toll-road operator, Invepar, currently held by OAS SA, according to a person familiar with the matter. The asset manager is providing 800 million reais ($278 million) in debtor-in-possession to the distressed OAS. Brookfield has also agreed to buy a portfolio of six toll-roads in India, it has said. 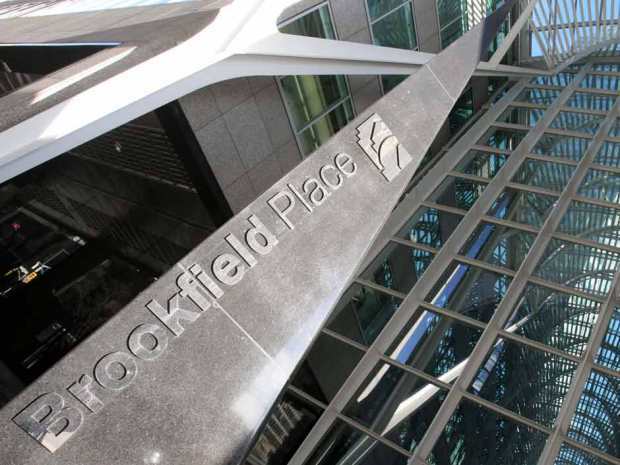 Brookfield is well-positioned to grow its net asset value and cash flow, Mark Rothschild, an Toronto-based analyst with Canaccord Genuity, said. He has a ‘buy’ rating and a $41 price target on its U.S. shares. The shares fell 1.4 percent to C$34.26 at 12:39 p.m. in New York. “The company has been successful in raising new funds in both its property and infrastructure business and we expect management fees to rise as funds are invested,” he said in a note to clients.